If you are an eco-tourism fan, this article is for you. Khosrov State Reserve or Khosrov forest is one of the most beloved places for tourists, visiting Armenia. Historical sources say that the name “Khosrov Forest” is associated with the King Khosrov II Kotak (4th century). 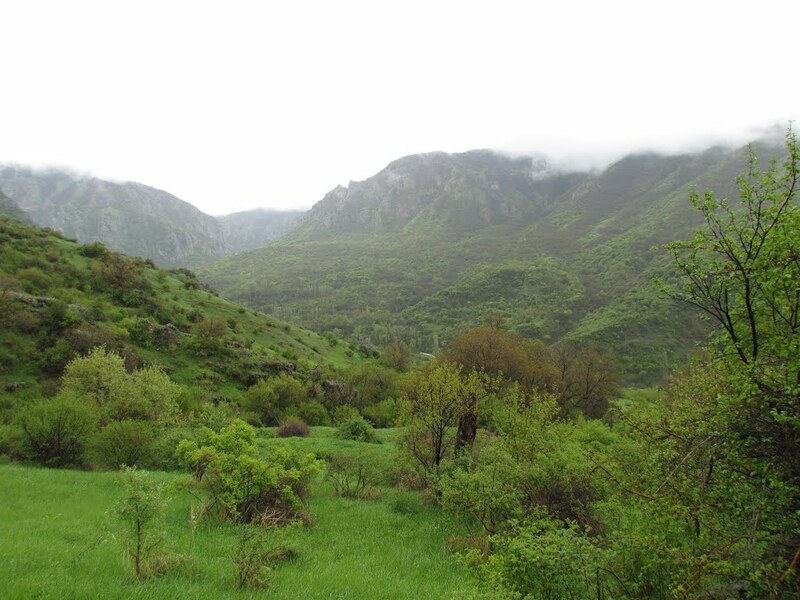 It is believed, that Khosrov had planted over one million trees, creating a private hunting preserve, saving a piece of Armenian unique ecosystem for generations. During centuries the King Khosrov’s forest became a reserve. “Khosrov Forest” State Reserve was established in 1958. It is located in Ararat region of Armenia, not far from Ararat valley, on the mountainous ridges Geghama, Yeranos and Yerakh. It occupies a territory of 23,213 ha at the altitudes from 700 to 2,800 m above sea level. More than 1850 species of plants are grown in the territory of state reserve, which makes more than 50% of the flora of Armenia. 80 plant species are considered rare, endangered on extinction. Landscapes of the reserve range from semi-desert to mountainous and alpine meadows. 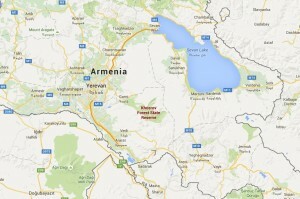 70% of the animals, registered in the Red Book of Armenia, dwell here. Most of them are in the danger of disappearing and are registered in the International Red Book, such as Armenian Mouflon (wild sheep) and an amazing hedgehog with large ears. The reserve includes also 192 species of birds, fish, reptiles, amphibias. 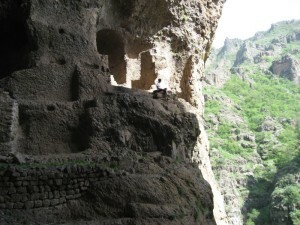 On the territory of Khosrov forest there are also numerous historical monuments and natural obelisks, such as cave settlements, ancient medieval monasteries, cross-stones and churches. Here is a holy place for pilgrimages – Saint Stepanos Church. This church has been a sanctuary for millions of people for many centuries. Another architectural monument is Kakavaberd fortress. One of the most stunning natural attractions of reserve is “Symphony of Stones”, also called “Basalt organ”. It’s a massive rock structure formed by basalt hexagonal pillars due to the frozen flows of lava. These huge rocks look like an organ, so people call it “Basalt Organ”. Among other sights on the territory of the forest are beautiful waterfalls. They are called by names of Armenian pagan gods Astghik (godess of love) and Vahagn (god of war). 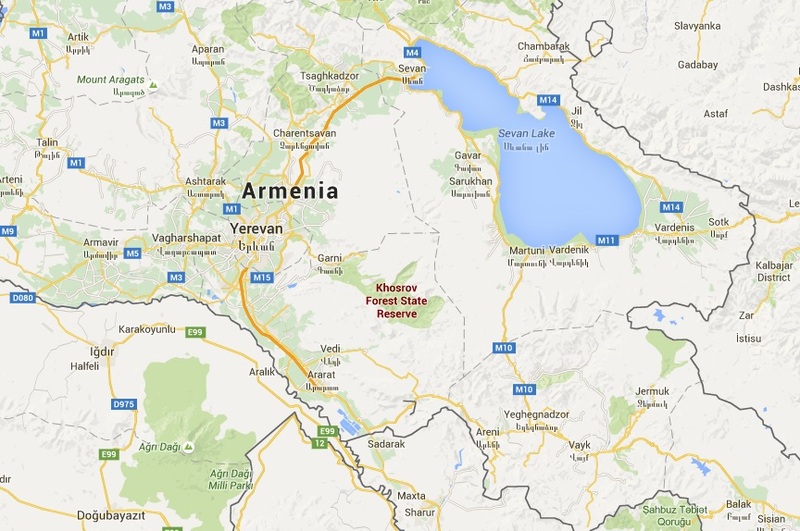 Khosrov Reserve is 60 km far from Yerevan, so it takes about an hour to get there. It’s located south of Garni Temple. Entrance to the park requires permission, which can be gain from the Ministry of Nature Protection or from the Director of the park.